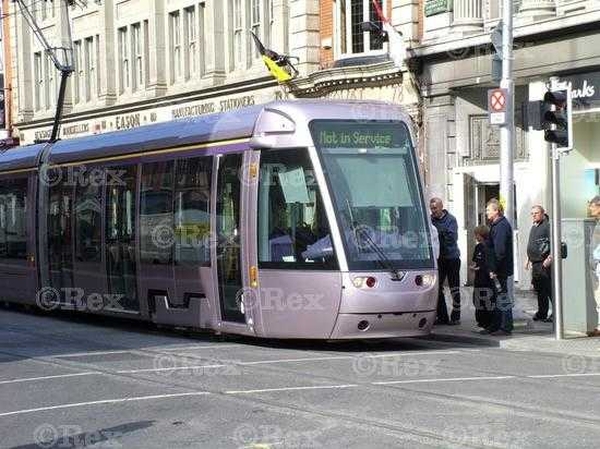 21 people have been injured, three seriously, after a collision involving a Luas tram and a bus on O'Connell Street in Dublin. 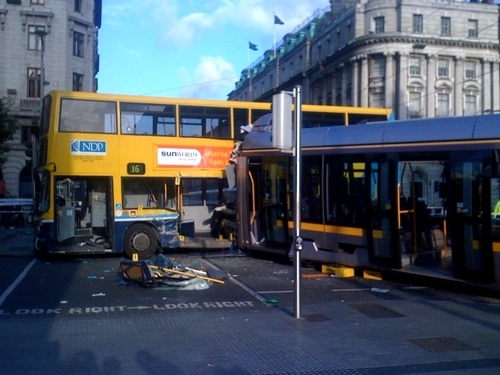 The driver of the Luas had to be cut from the wreckage by emergency services. The accident occurred just after 3pm this afternoon. There is widespread traffic disruption in the city following the accident and gardaí are diverting traffic away from the O'Connell Street and Parnell Street areas. Luas Red Line services are only operating between Tallaght and Smithfield as a result. Most Dublin Bus services that would usually use O'Connell Street are diverting via Gardiner Street instead. O'Connell Street northbound is closed and will remain so until further notice. However, the southbound side of the street has re-opened.